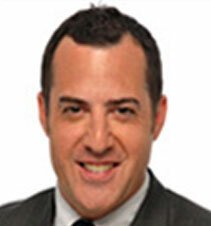 Rafa Maciejak, a native Brooklyner, has been a real estate broker in the NYC area for over 17 years. With a passion for music, he attended the Empire State College where he received a bachelor's degree in music and business. He began his career in a boutique real estate firm in Brooklyn Heights shortly thereafter moving onto onsite sales, working for Two Trees in Brooklyn. In 2005, Rafa became a sales director for Corcoran Sunshine managing the successful completion of sales of two developments in Park Slope. He has represented both buyers and sellers in transactions totaling well over $300 million over the course of his career. Rafa joined Rose Associates in 2012 as the Manager of Sales, to oversee the sales team at the Oro for the completion of the building's sellout and to handle Rose Associates owned sponsor sales. Rafa employs encouragement and genuine concern as he creates a positive experience for both sides of a transaction. Rafa has a thorough knowledge of the NYC market place and is continuously finding new ways to improve his knowledge of current trends and sales data of the various submarkets throughout Brooklyn and Manhattan. Rafa currently resides in Park Slope, Brooklyn with his wife and two young sons. Rose Associates re-sale service provides the same level of exceptional customer service and personal attention that you are accustomed to from our property management department. Our professional sales team will supply you with expert advice on how to best price your home in this competitive market. We use detailed historical data of sales information, and our in depth market analysis of sales trends in your building and surround area to properly position your home. We will have professional photography taken of your home, handle all showings and open houses, promote your listing on various real estate listing websites such as StreetEasy.com, and negotiate on your behalf to achieve the highest sale price for your property.